Jessica’s brother Lane Morgan holds niece Paisley Hendrix at Saturday’s fundraiser. Sometimes the best way to show the strength of a community is to watch them amidst tragedy. In the case of the Southwest School community, that sense of solidarity raised over $7,700 during a fundraiser held on Saturday to remember Jessica Morgan, a senior who was killed in a car wreck last fall. Jessica’s death ravaged the Southwest community, impacting not only her family, friends and teachers, but the community as a whole. 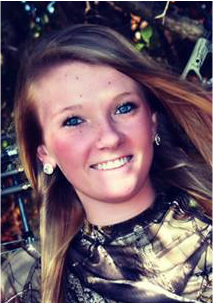 As an avid Christian and athlete, she was well-loved by her teammates and those who knew her. After her death, her family searched for ways to remember her giving spirit which is what led to Saturday’s event. While the details of the scholarship are in the initial stages, next year and subsequent years, the family hopes to raise $10,000 each year through annual events and donations to give away to graduating Southwest seniors to help with college expenses. Jessica’s sister, Amber Paulsen, said, “This year will be different with the scholarship because it is the first time. Part of the money we raised Saturday will go to pay for Jessica’s headstone, but the rest will be used for the scholarship.” At least one senior will be selected this year to the Jessica Morgan Memorial Scholarship with the number of scholarships handed out increasing beginning next year. In following years, family and friends plan to have at least three annual events to contribute to the scholarship fund, including the Fly High 5K in Jessica’s memory beginning this fall. To donate to the Jessica Morgan Memorial Scholarship Fund, there is an account set up with Freedom Bank.